Mom, the Intern: I've got the power! 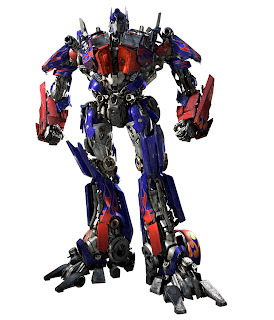 This is a fictional transformer. 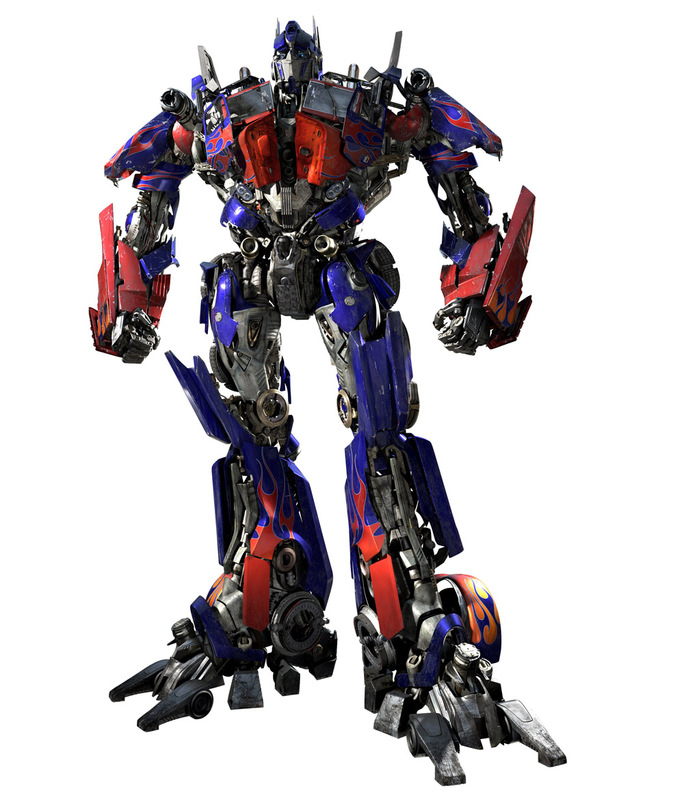 This is a real transformer, and this is what it looks like when it explodes. 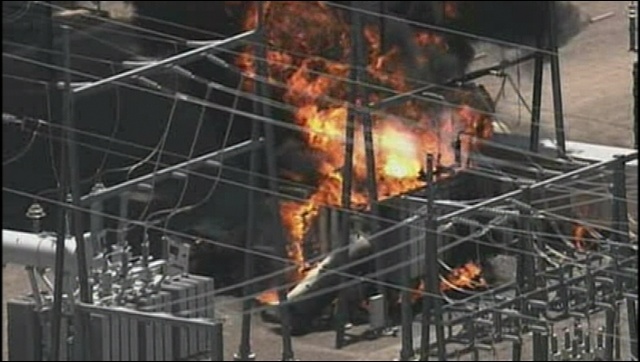 Yesterday, a transformer blew up and caught fire at a nearby power substation and wouldn't you know it, we were without power for about eight hours. That means no air conditioning, and when it's 115 degrees outside, it only takes about 10 minutes before you start sweating buckets. Indoors. Yeah, that's how we roll in Arizona. But I'd still rather roast in an oven than scrape ice off my car windows! Immediately after every beeping, ticking and whirring thing in this house powered down, I shut all the blinds in the house. It's just what you do here when there's a summer power outage. It inexplicably freaked my kids out and they started crying hysterically. In an effort to calm Bubby down, I told her, "We have no power; we have to keep the sun out so it doesn't get hot" and she melted down into a deranged madness. You would have thought I told her Dora the Explorer died. Smush could only be consoled if I let him play with my cell phone, but I had to take it away after he placed a few calls to 8888888. And then the crying recommenced. After about 30 minutes of pointless suffering, I took the kids to my in-laws' house to enjoy their functioning air conditioning. Bless them. Around 4:15, Dill came home from work and my mom, sisters and I all headed to the NKOTBSB concert. It was seriously epic. Post and pictures to come. We later found out the power didn't come back on until 10:00 PM. I can only imagine that my house felt like the sixth circle of hell in here by then. In the meantime, kiss your thermostat today. You never know when you'll suddenly be without blessed air conditioning. Were any of you affected by the power outage? I hear SRP workers handed out free ice at grocery stores. I wouldn't know; I was hanging out with the Backstreet Boys. hi! I'm new here, but I, too, was effected by the power outage. Though not nearly as bad as you were :-( Where I live we use City of Mesa power/utilities, so I think it must have effected it somehow, but our power came back on after about an hour. Luckily my little Monkey boy was asleep the whole time, and his room is all blacked out, so he didn't even notice. I'm so glad everything's back on though. Ah, that's good Darci! I always hate when the power goes out during the summer. We were only without power for about 3 hours. Headed over to the mall knowing they would have power but their air was out probably due to the power surges before the final power outage.